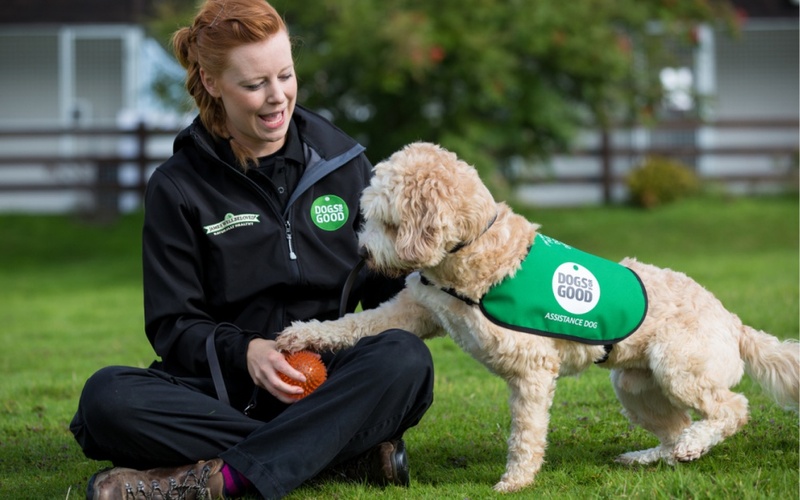 Consultancy Fishburn has rebranded Dogs for the Disabled as Dogs for Good, with the aim of focusing “more on people as individuals” and less on their disabilities. 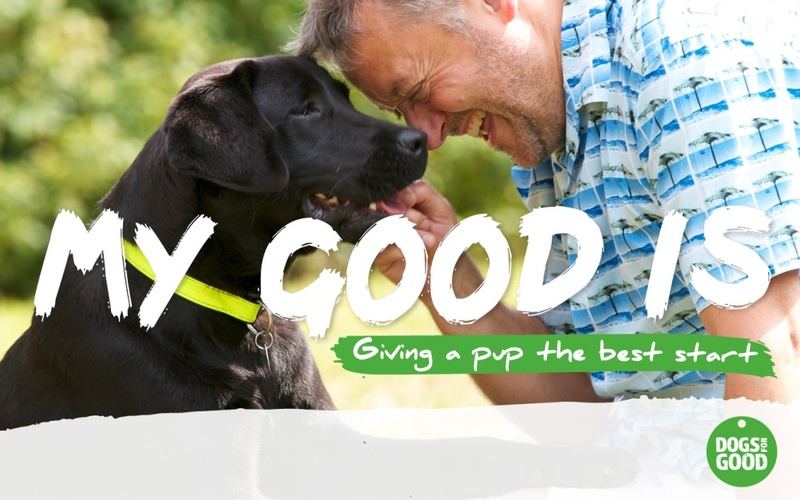 Charity Dogs for the Disabled has rebranded under a new name, with the aim of bringing more positivity and inclusivity to the brand. 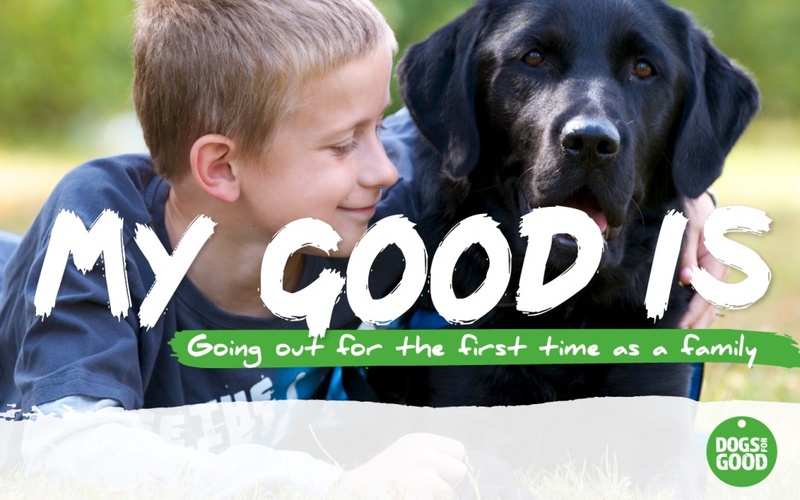 Now called Dogs for Good, the charity was founded in 1988, and provides services such as training assistance, activity and therapy dogs for people with disabilities, and for schools and communities. 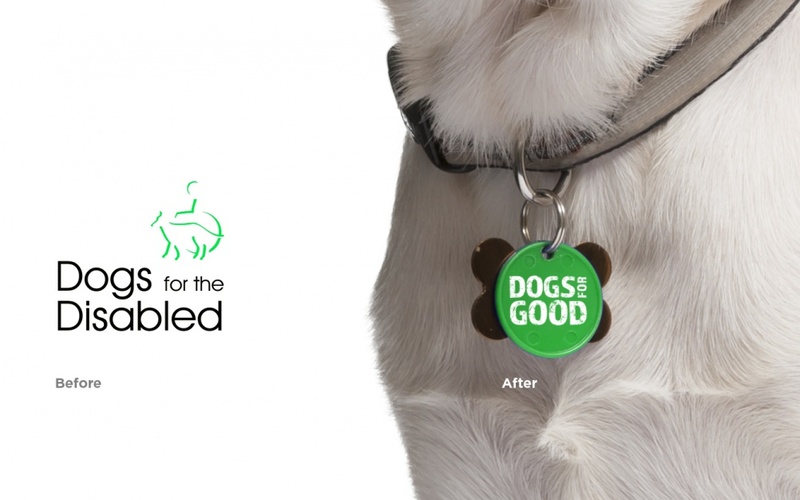 The new visual identity, designed by consultancy Fishburn, replaces the icon of a person in a wheelchair and a dog, with a green dog tag. The logotype has been changed from black to white, is bolder with a faded effect, and is now incorporated within the imagery, rather than next to it. Typefaces Almaq Rough and Foco by Dalton Magg have been used. Fishburn says the new name “recognises that the language around disability is changing”, and so it now focuses “more on people as individuals rather than as ‘the disabled’”. The consultancy adds that the new identity also aims to “better reflect the range of people the charity supports”. 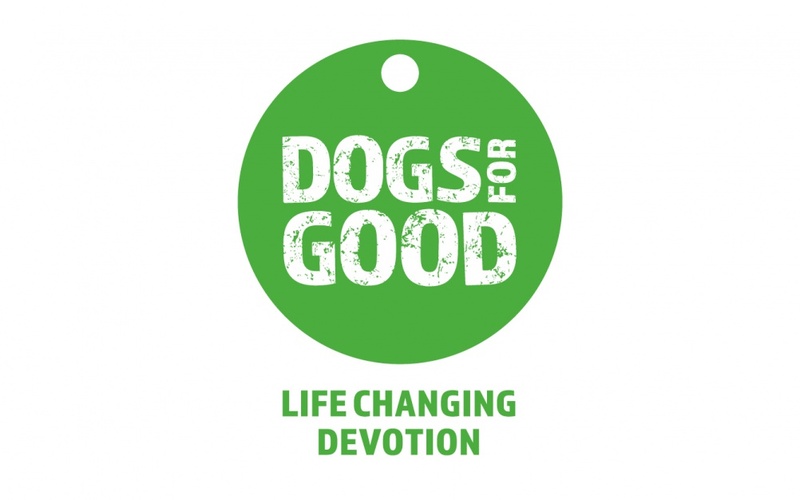 Dogs for Good says that it hopes the new name will increase the charity’s visibility to the public, and increase its donations and fundraising ability. 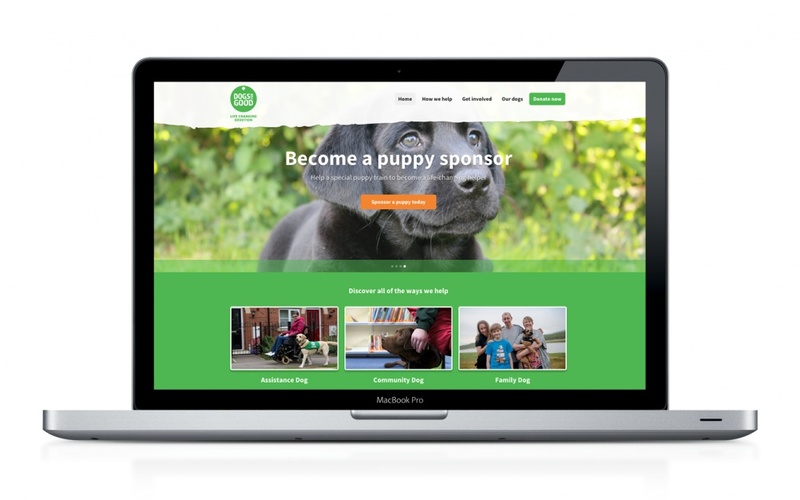 The new branding has been applied to marketing collateral, merchandise, fundraising materials, events and online touch-points, and has started rolling out across the UK.